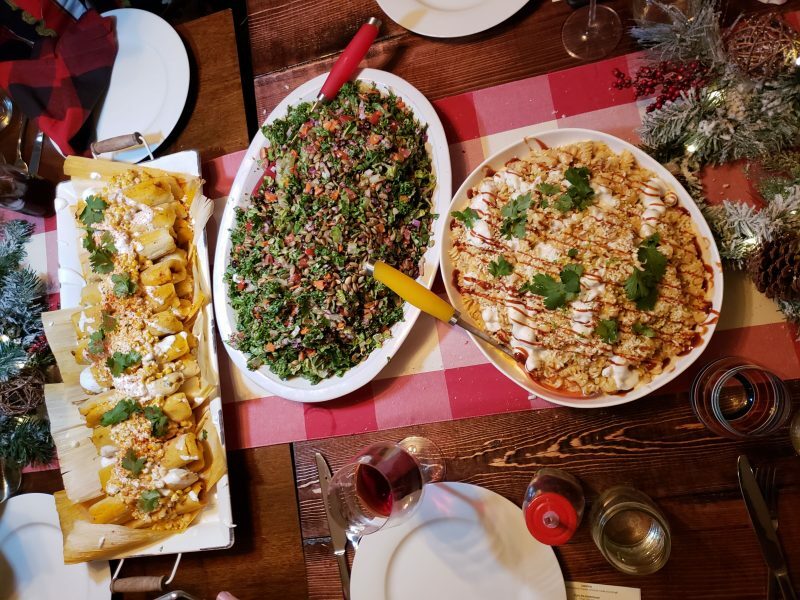 It’s no secret part of why I started a food blog and Instagram was to get invited to try awesome new food before everyone else and then take photos of that food to make everyone else jealous and excited. I have also met so many great people and have a lot of fun eating with them. Meeting some of these other foodies lead me to one of the best previews I attended. I got a chance to check out Ba-Co, the new concept opening at Smallman Galley. They will be bringing southern style BBQ and tacos to the area. 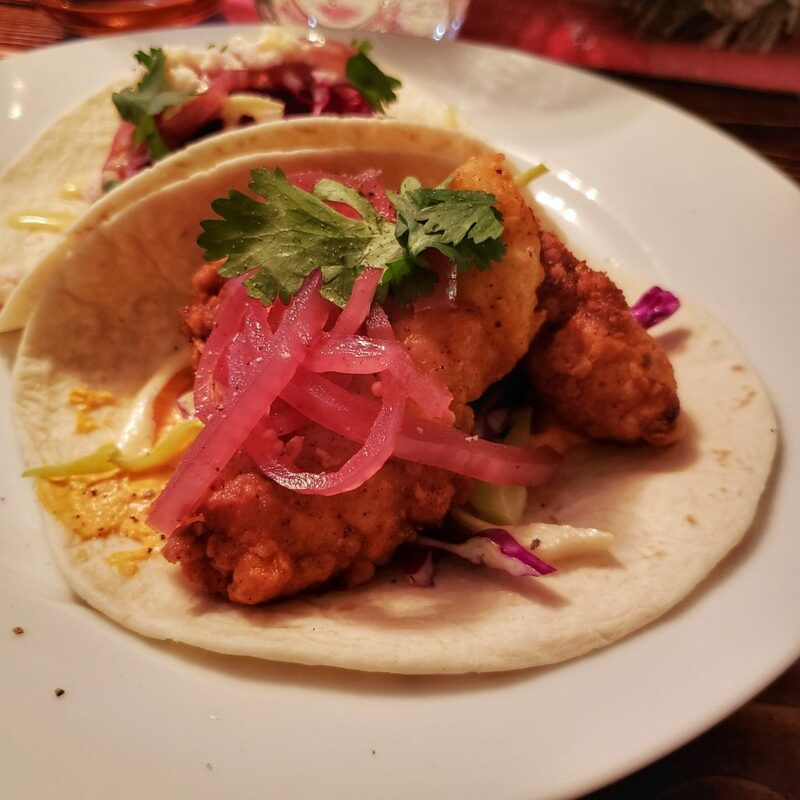 Let me tell you, these are some tacos you are going to want to try. The Ba-Co concept is being brought to Smallman Galley by Chef Tim Dominick. He has been in the kitchen in some great establishments in the Pittsburgh area including Nemacolin, The Duquesne Club, and The Commoner. One of my favorite dishes I ate last year, the Braised Short Rib with Acorn Squash and Goat Cheese Risotto was one of his creations at The Commoner. Now, starting his own concept, he is bringing something different to the Pittsburgh food scene. Now for the food. I got to taste most of the items going on the menu and a few test items. The things definitely on the menu are you are going to love. 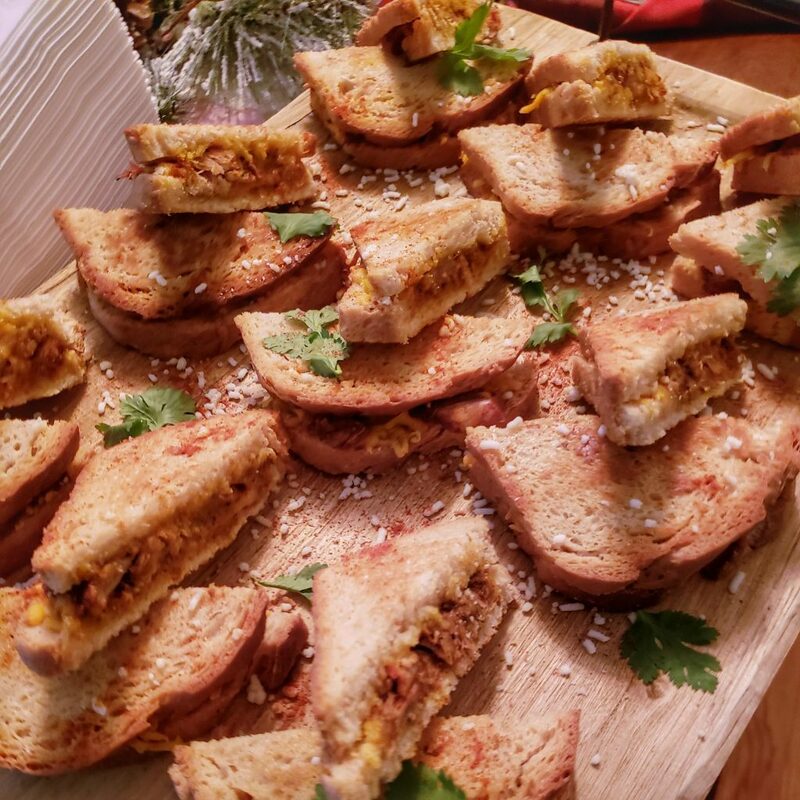 We started with cochinita pibil (slow roasted pork) grilled cheese on sourdough. The goal of this was to get a taste of the pork and the cheese getting used in the dishes. Then we moved on to the tacos. They will be featuring smoked beef brisket, smoked pork belly, mojo marinated chicken and southern hot fried chicken. One of the most exciting things about Ba-co to me is they will be smoking the meats in-house daily. We started with The Texan and the Trail Blazer. 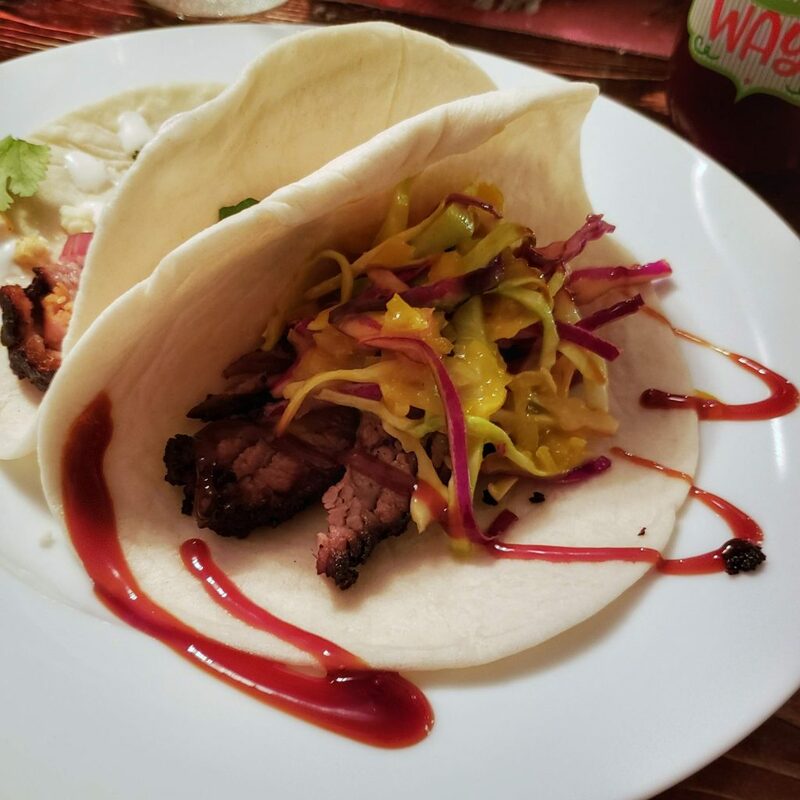 The Texan beef brisket topped with slaw, house bbq sauce, and yellow pepper mustard. 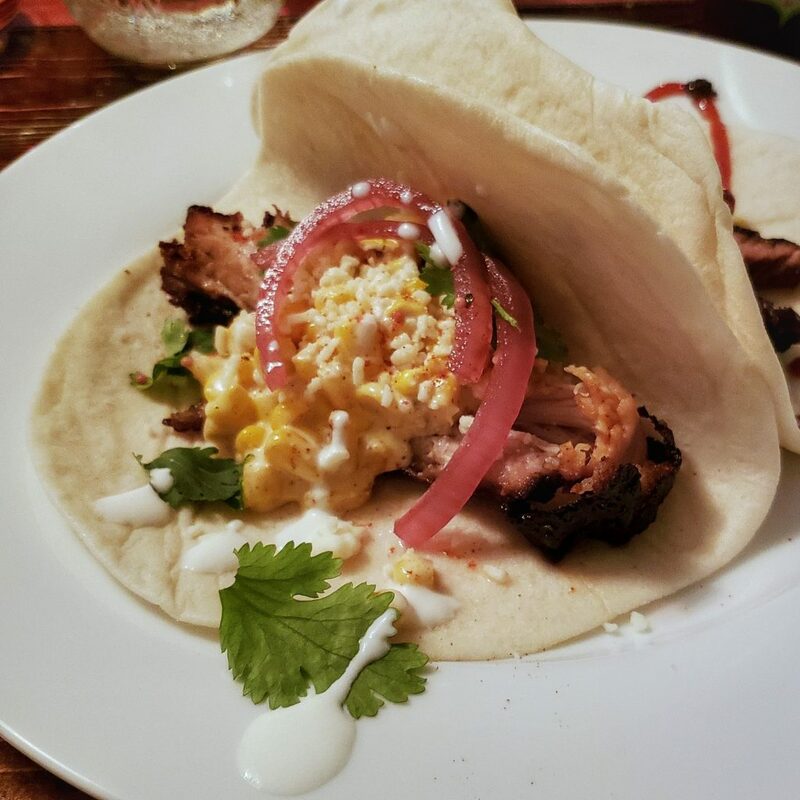 The Trail Blazer is pork belly topped with street corn, chili lime aioli, pickled red onion, cilantro, mojo, queso fresco, and crème fraiche. The brisket and pork in each of these were so tender and savory. They were smoked to have a nice crust but remain juicy. The mix of the sweeter flavor of the vegetables and the spicer flavors of the sauces created delicious tacos. Then we moved on to the chicken tacos. 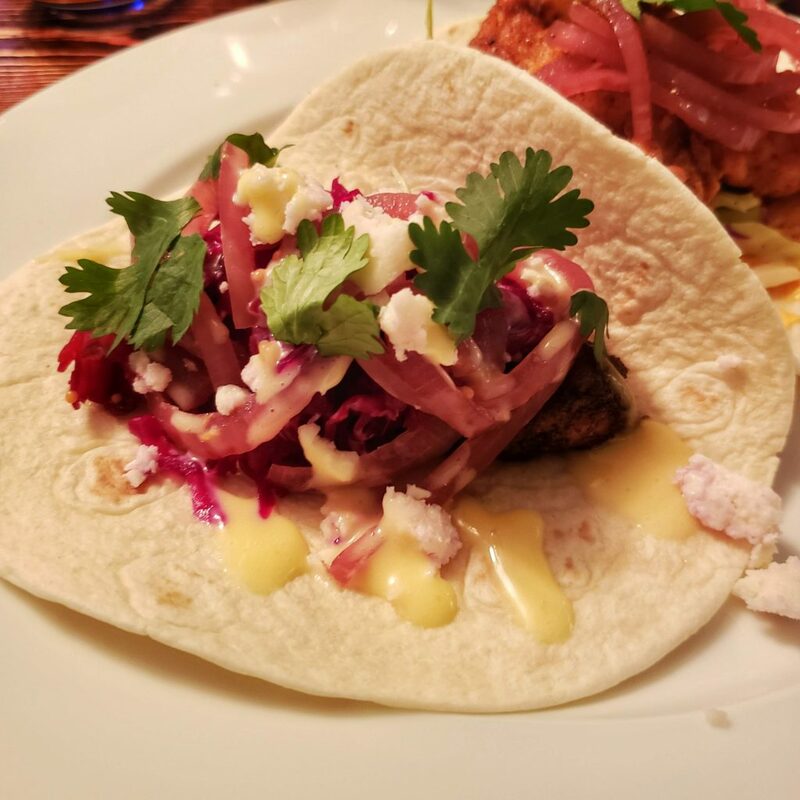 The La Gringa was another savory and sweet combo with mojo marinated chicken, pickled red onion, house fermented cabbage, honey, and confit garlic aioli and queso fresco. Lastly, we sampled the Not Your Grandma’s with Southern Hot Chicken, slaw with honey and confit garlic aioli, pimento cheese and pickled red onions, which I loved with a great hot sauce on the fried chicken and offset a lot with the aioli and pimento cheese. After already stuffing our faces with tacos, when then went to some non taco items. We got to try the tamales and the chorizo mac and cheese. 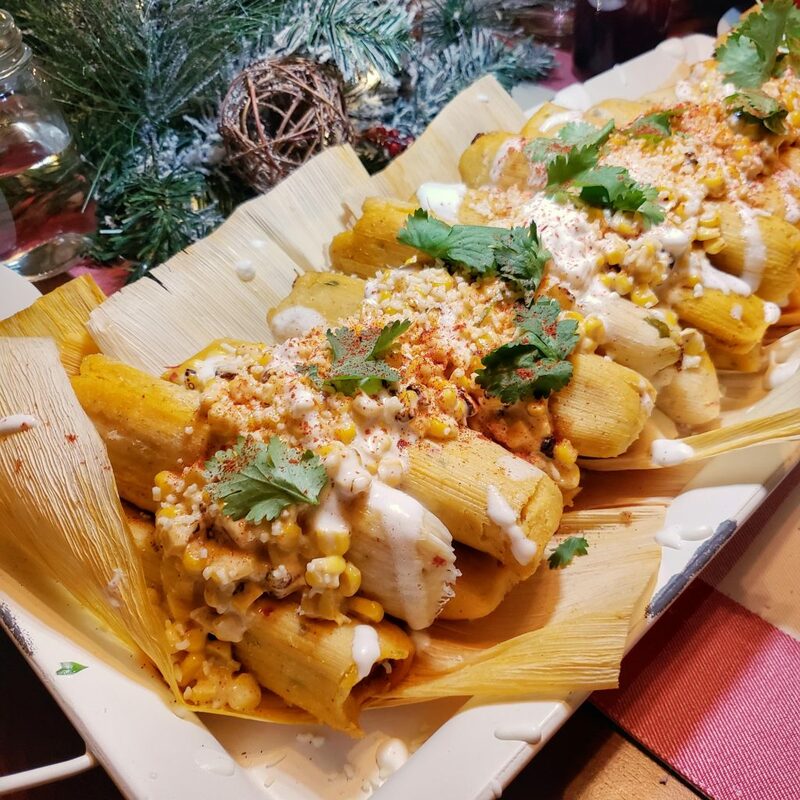 The Street Corn Tamales were made with pork cochonita, and topped with street corn with chili lime aioli, crème fraiche, and queso fresco. The tamales rely on the mixture of the different flavors and textures for a great eating experience. 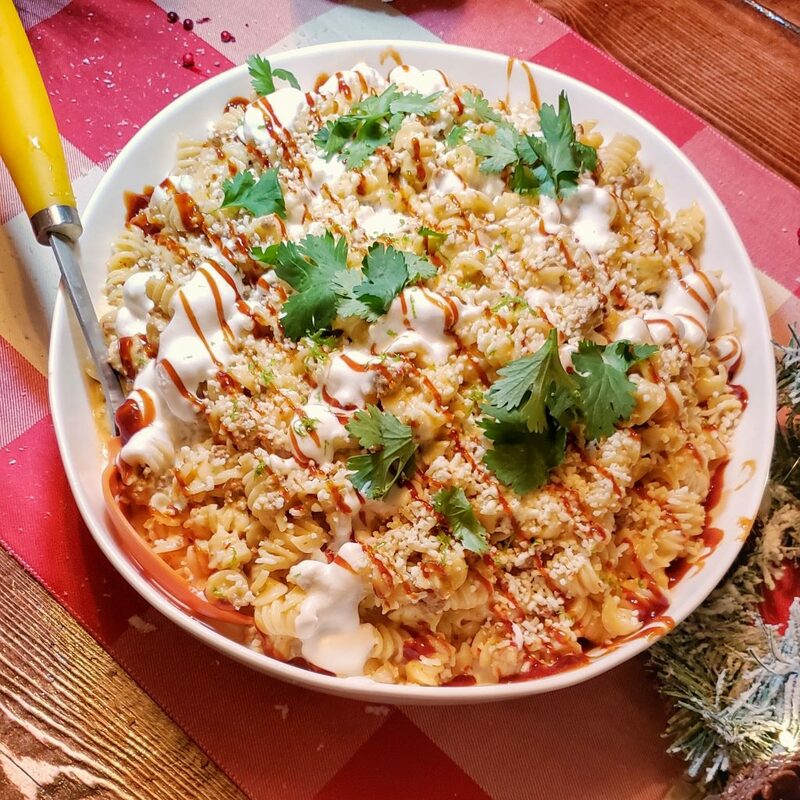 The Chorizo Mac and Cheese was incredible. If I were not lactose intolerant I would have eaten the giant family size bowl on the table. The house-made chorizo and cheddar cheese sauce were delicious. 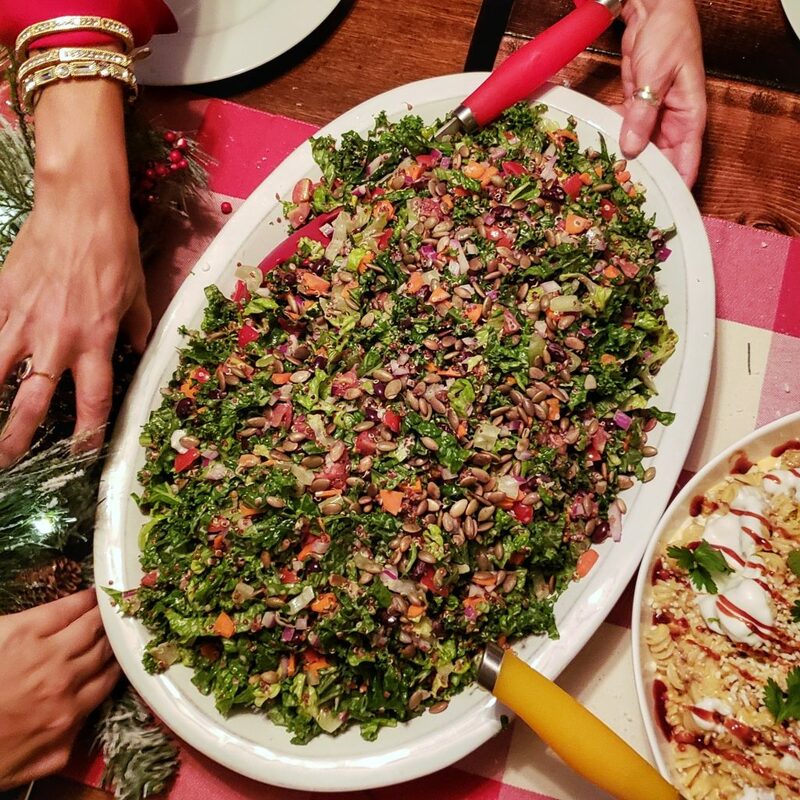 We were also served a very healthy off-menu salad with a cabbage and kale mix with quinoa, avocado and more with a citrus dressing. I’m not a firm believer in needing a salad, but if I had to eat a salad I would have this again. That’s high praise for a salad from me. It might make an appearance on the menu in the future. Dinner finished with a dessert of dulce tres leche cake and hot chocolate. 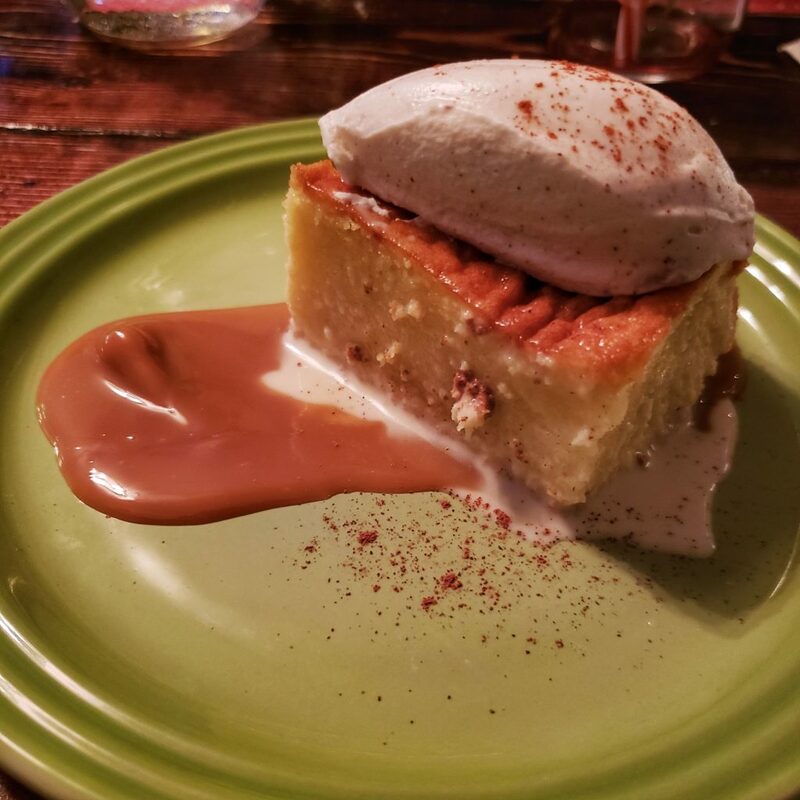 The Dulce Tres Leche cake was soaked in three milk sauce and topped with cinnamon whipped cream. However, I prefer chocolate. Ba-co has named their hot chocolate The Best Hot Chocolate Ever and I might have to agree. 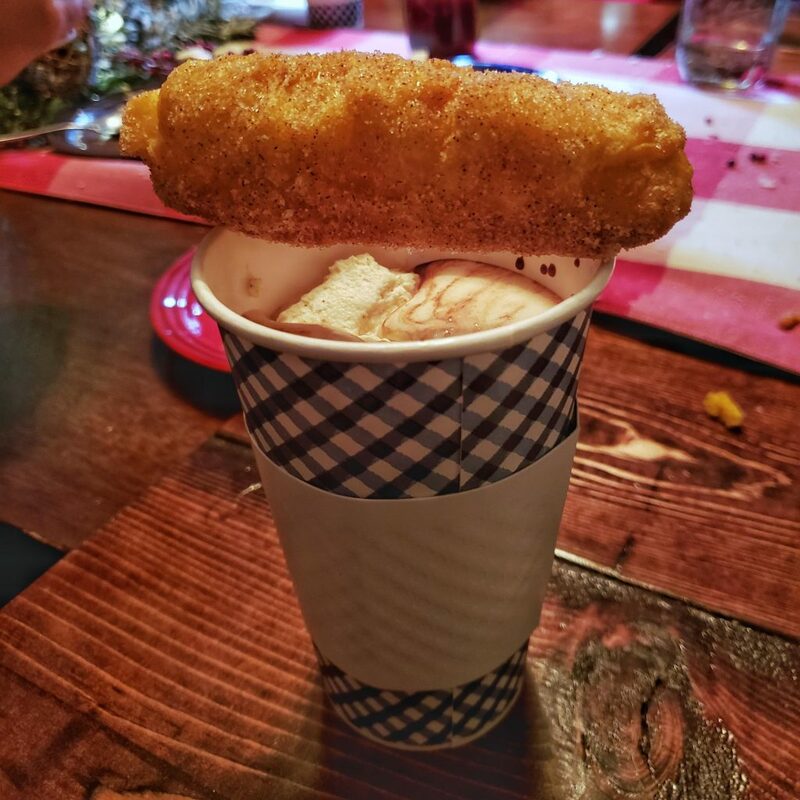 It was so rich, spiced with cayenne pepper and served with a fresh churro straw. Ba-Co hosted a fantastic preview dinner. I left so full I could barely move. I am looking forward to much more great BBQ and tacos from Ba-Co while they are at Smallman Galley.